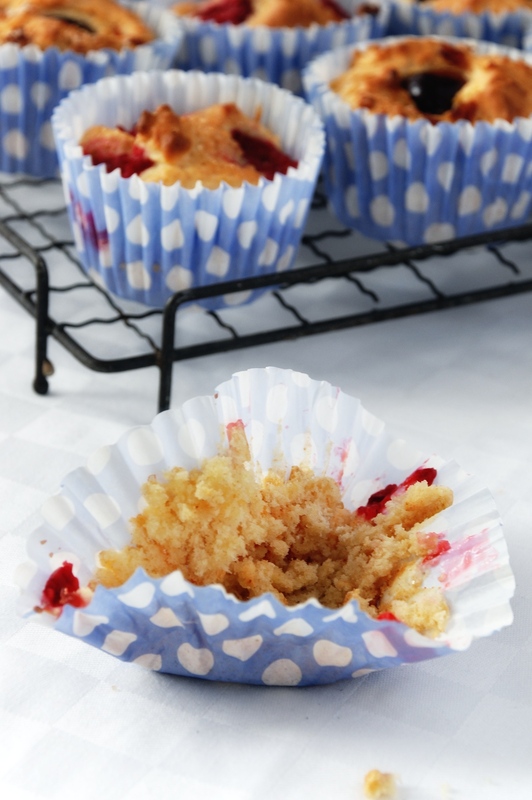 This is something that has been on my ‘to blog’ list for a while: Ice Cream Muffins. When I read that you can make muffins by just using Flour and Ice Cream I was intrigued. When you think about it, a good quality dairy ice cream has eggs, sugar and vanilla in it, as well as cream. Add flour and you have the standard ingredients for cake. So with little other instruction I gave it a go. I used equal quantities of Self Raising Flour and Ice cream that I’d left out for an hour to warm and soften. I added various things to see what worked best, chocolate chips, fresh blackberries, raspberries and cherries. I tasted the mix and it wasn’t very sweet so I sprinkled them with brown sugar too. I baked them as I would any small cake, at 180 degrees, checking and turning after 10 minutes then giving them another 10 minutes or so until golden, although they take a little longer to get ‘up to temperature’ as the ice cream retains some coldness. They were actually quite nice…but not stunning. They had a good cakey texture but they got stuck to the cake cases quite a lot and I feel they needed a little extra something. This has the potential to be a great recipe for kids to make as it’s easy and it uses ingredients that most people have in when you may have run out of eggs and butter. I meant to trial some different versions but I ran out of ice cream…and inspiration. So I’m throwing this one over to you. Fancy a go? 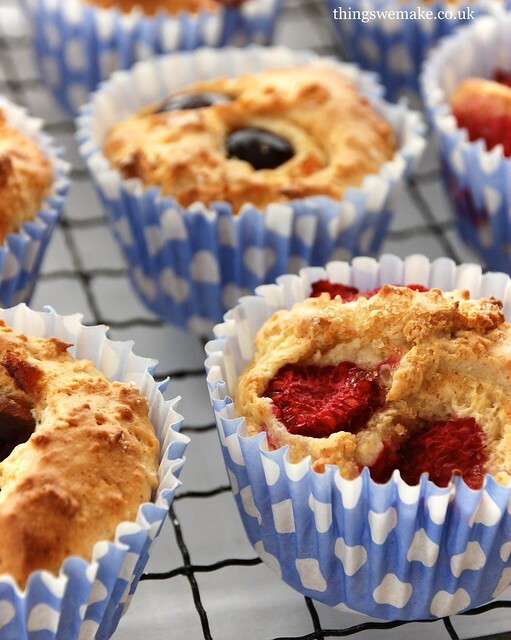 Want to create the worlds greatest Ice Cream Muffins? Let me know if you do and it works out well for you. Perhaps we can plan a Muffin-Off sometime soon. They look lovely, but I can’t see the point of making cake from ice cream (which I would rather eat as it is!) Surely making a cake using conventional ingredients which you know are additive free is better and probably cheaper too. 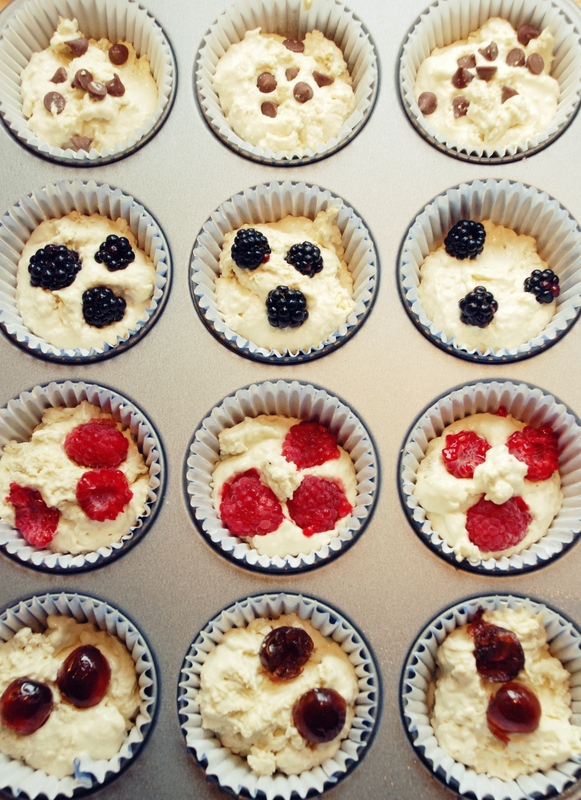 I do like the look of the cakes with the fresh blackberries and raspberries, though … mmm! Hi, I think the point is that you can make them when you have ran out of eggs and butter, but have then NEED for cake! may you email the recipe for making these please. I say you drizzle it with a cream cheese topping. Not too much because you don’t want to overpour the lovely muffin. Who cares if it sticks to the muffin paper….I can live with that.